Introducing Matrix's Biolage Aqua-Gel Conditioners For Fine Hair! How often do you change your haircare regime? Do you know which conditioner is right for you? I'd like to walk you through my photo shoot with Matrix for Biolage Aqua-Gel Conditioners to help you find out if you have fine hair and which shampoo & conditioner duo is best for you! I've always thought that I had medium/normal hair but then during my consultation with Matrix Stylist Viktoriya Yeremchuk we discovered that I actually have fine hair and I just have a lot of it. All along I've been using the wrong regime for my hair type. My hair is prone to frizz, it tangles very quickly, and it gets greasy immediately. Biolage has launched the new Biolage Aqua-Gel Conditioners as a solution to all of these fine hair problems! All you have to do is be willing to try out a fresh new take on a conditioner. Picture applying a refreshing lightweight gel from scalp to ends and not having to wash your hair every day because it's greasy. Biolage offers four shampoo & conditioner duos made up of Biolage HydraSource, VolumeBloom, ColorLast, and SmoothProof to end your fine hair struggles. All are available for purchase from your favorite Matrix salon or Ulta here. 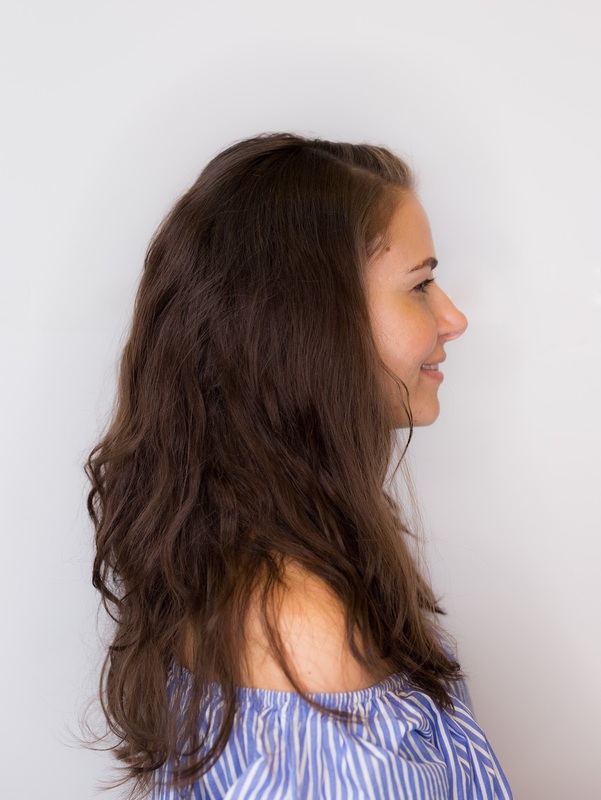 Biolage HydraSource was the perfect duo for me because my hair dries out a lot during the summer and grows very quickly and so it is always in need of moisture. Biolage HydraSource Aqua-Gel Conditioner, when paired with its shampoo, gave me the bounce, shine, and moisture that I needed. My blowout also lasted for 2 days without getting greasy! That's the first for me because by day 1 I have to apply dry shampoo if I don't wash my hair.